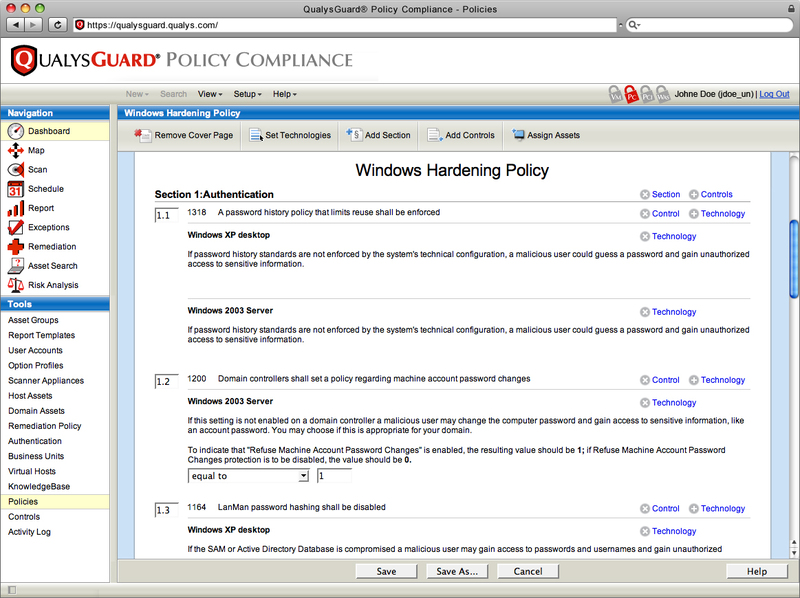 Qualys offers on demand vulnerability management and policy compliance solutions delivered as a service. Qualys is ranked by analysts as the leader in its field and is deployed by 1000’s of companies across all industries and all sizes. We have added the Qualys Cloud Platform Suite products, as it can drastically reduce costs and improve compliance productivity. 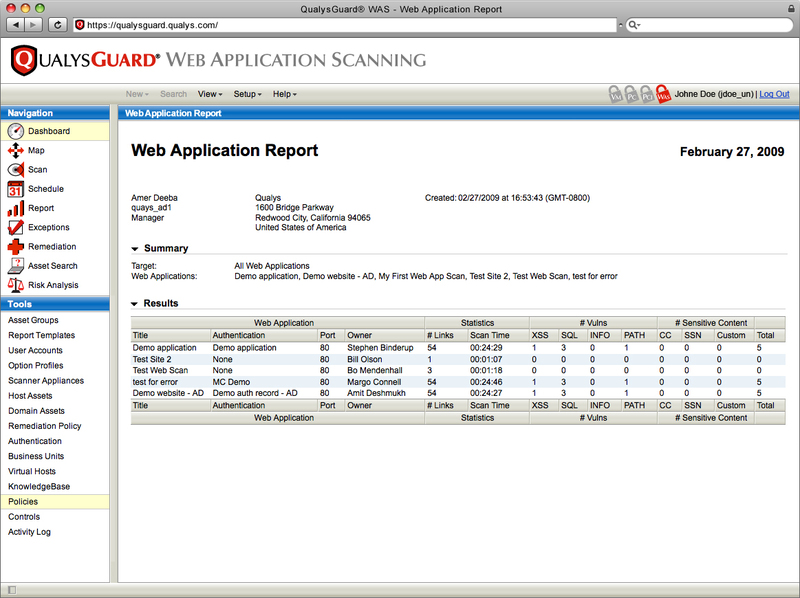 Qualys Suite products replaces costly manual penetration testing and at the same time removes the burden for staff that are tasked with compliance and regulatory responsibilities. Discovery. Automatically and quickly identify all network hosts and assets. Assessment. Scan for all associated exploitable conditions (i.e. : missing patches, unsafe configurations, open services, rogue systems). Reporting. Prioritise vulnerabilities with details of how to reduce the risk and mitigate the impact. The service requires no customer skill, resource or in-house kit and is completely automated. As a small gesture we are offering complimentary hard-copy guides from the “Dummies range of books”, available in two titles: “Vulnerability Assessment for DUMMIES” and “PCI Compliance for DUMMIES”, please contact us if you’d like one of these guides or for more information. Define policies to establish a secure IT infrastructure in accordance with good governance and best practices frameworks. 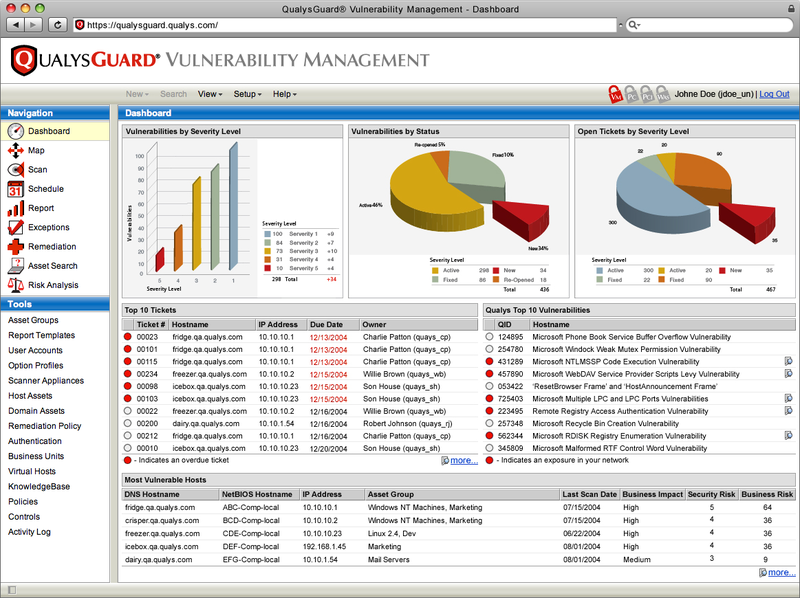 Automate ongoing security assessments, and manage vulnerability risk effectvely. Mitigate risk and eliminate threats utilizing the most trusted vulnerability management application in the industry. Monitor and measure network compliance in one unified console—saving time, assuring reliability and reducing costs. Distribute security and compliance reports customized to meet the unique needs of business executives, auditors and security professionals. Software-as-a-Service (SaaS) Advantage — There's nothing to install or manage. 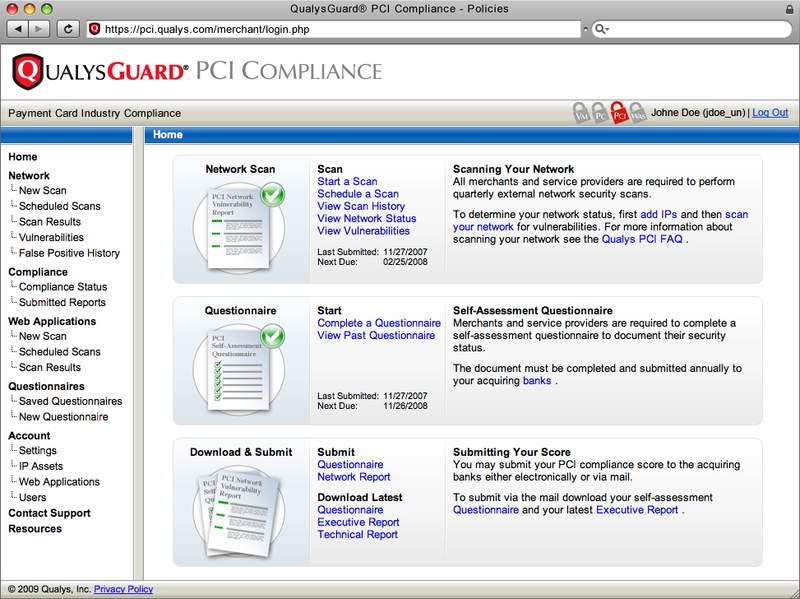 Support for operating and maintaining the solution falls squarely on Qualys. Global Deployment — Easily performs scans on geographically distributed and segmented networks both at the perimeter and behind the firewall. Lower and Predictable TCO — On demand SaaS technology offers significant economic advantages with no capital expenditures, extra human resources or infrastructure or software to deploy and manage. Highly Scalable — Rapidly deploy and expand using QualysGuard's on demand architecture. The world of security is becoming more complex and threatening every day. Today, firewalls and intrusion detection solutions simply aren't enough. We need a solution that will not only help us identify potential vulnerabilities, but will also prioritize which vulnerabilities are the most important and what steps are needed to correct them. Qualys has helped companies like ours anchor their security policies with an automated, scalable and proactive solution that will result in a bottom-line ROI.